Stay ‘n’ Place is designed to work on all types of hard floor surfaces except on carpet. If you are trying to keep your rug from moving and slipping on carpet, we suggest that you use one of our Rug Gripper products. 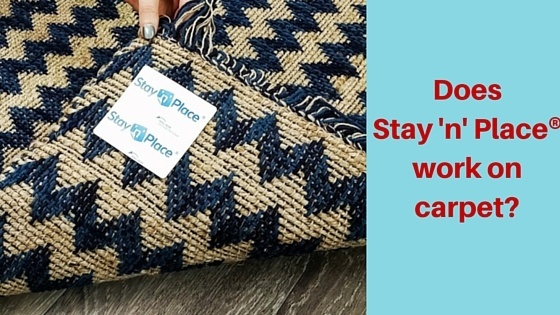 If you have any questions that involve retail or distribution of Stay 'n' Place, reach out to us here. for general consumer questions, contact us here.